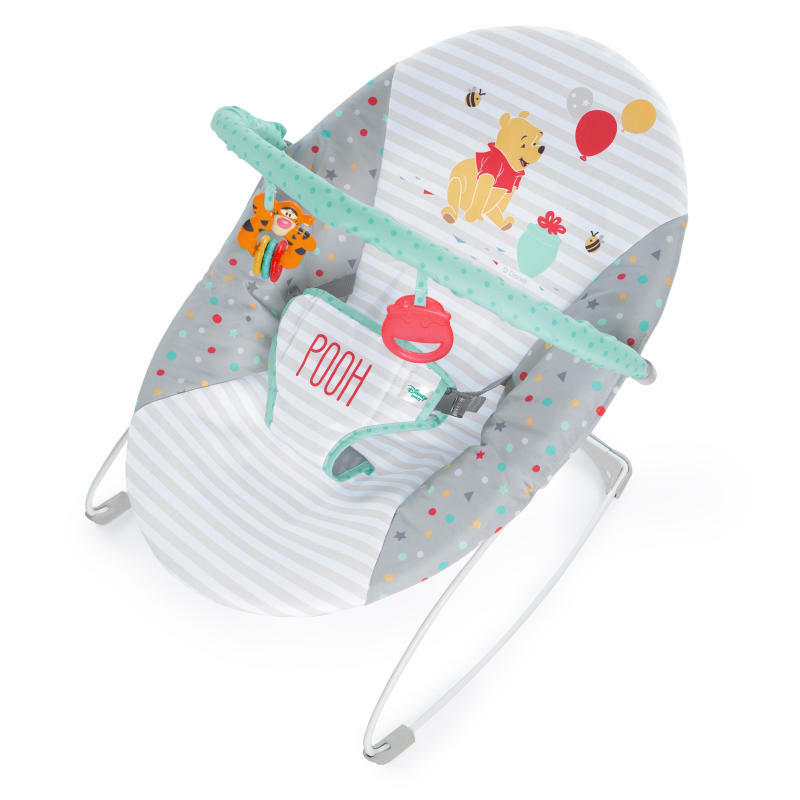 The Disney Baby™ Happy Hoopla Vibrating Bouncer™ from Bright Starts™ cradles your baby in soft fabrics and a whimsical Winnie the Pooh fashion. The toy bar charms baby with interactive Winnie the Pooh-inspired toys and easily removes with one hand for easy access to baby. The deep cradling seat pampers baby with soft support. Soothing vibrations help to keep baby happy and content. No tools required makes for easy assembly. Safety-enhanced with an adjustable 3-point harness and non-slip feet. When things get a little messy simply toss the seat pad in the washing machine. Dimension (in) 21" x 19" x 16.63"
Seat pad is machine-washableToy bar and toys – Wipe clean with a damp cloth and mild soap. Air dry. Do not immerse in water.Frame – Wipe with soft, clean cloth and mild soap.